Bragi has announced that Alexa is set to become a new feature of its Bragi Dash wireless headphones later this year. The company revealed at the IFA trade show today that a software update coming in October will allow Dash and Dash Pro owners to talk to Amazon's virtual assistant in both English and German languages (via The Verge). After the forthcoming 3.1 update is installed, to activate Alexa users will need to either tap an earbud or use the Dash's "4D menu", which relies on motion sensing to enable users to turn their head left or right and select from a virtual menu. While Dash (and Dash Pro) users can already use their earbuds to activate Siri and Google, today's news means Bragi Dash are likely to become the first truly wireless earbuds to offer Alexa support, allowing wearers to, say, order a ride from Uber or a coffee from Starbucks. 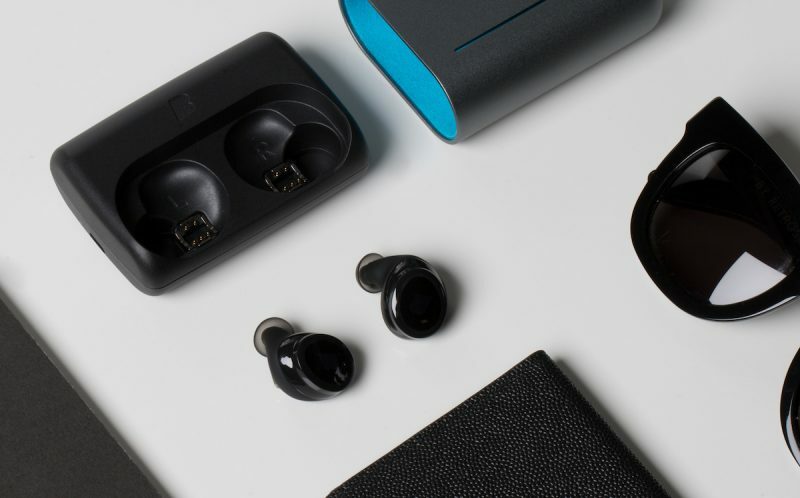 MacRumors reviewed the Bragi Dash Pro ($330) wireless earbuds back in July and found that the gesture controls impress, but some UI and design frustrations remain. You can read the full review here. I really don't understand what they're trying to do; jam packing these tiny buds with all sorts of unnecessary features. Heart monitor, real world translation that literally no one is going to use? How about striving to reach the highest amount of battery life, efficiency and reduce size?